What supplements and solutions do athletes trust when they have an injury? Studies show that fatigue can increase the likelihood of accident or injury. Which supplements help improve your memory and prevent dementia? What supplements and measures help reduce joint pain and recover faster and more effectively? 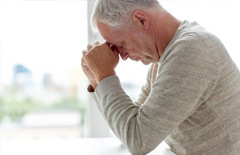 Chronic pain affects more than 100 million Americans. 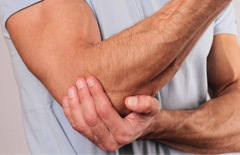 We set out to find natural and effective pain relief remedies that provide real relief. Chronic pain is an issue that can affect every area of your life. From your daily mood to your productivity and the way you interact with co-workers, friends and family. It is all affected when you're suffering in pain. Pain can be the result of an accident, injury or can be the result of something as simple as age or repetitive movements wearing on your joints. …or even persistent and severe headaches. No matter what type of pain you are suffering from, there are risks associated with seeking pain relief. The most common form of treatment is to present over the counter or prescription pain relief medications. These, however, can come with a variety of different side effects and develop into dependency or even addiction. While pain relief solutions need to be effective, it is also important that they do not produce additional problems, symptoms or damage. If you or a loved one is suffering from pain. Start with the most natural and least invasive remedies as possible first and foremost. Providing on-going support, information and natural pain relief solutions is what we are here for. We research and report on the best pain relief remedies such as omega-3 supplements, exercise and heat and cold remedies. Try them together, or in unison to see what works for your problem. Remember to check back frequently for new blogs and pain relief remedies, and follow us on social for additional pain relief tips, tricks ideas, and support.